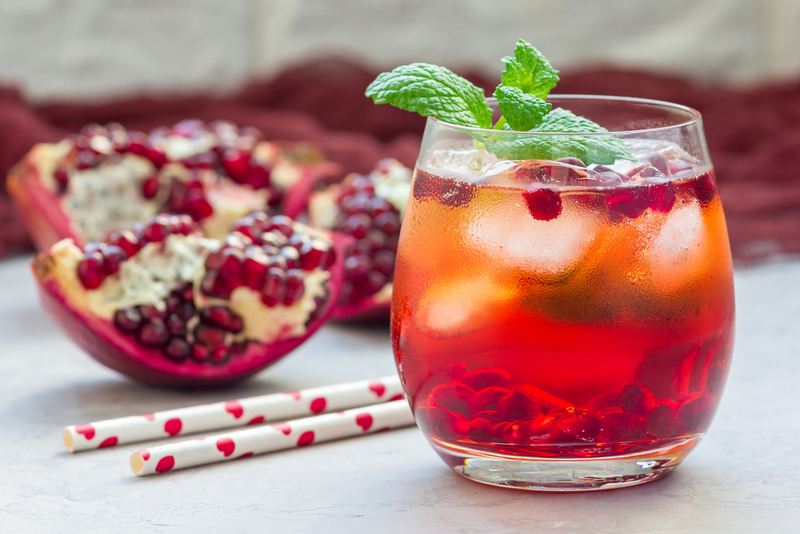 Combine vodka, pomegranate juice and rosewater in a glass filled with ice. Then add a squeeze of lime and top with club soda (to taste). Garnish with pomegranate seeds and lime if desired.